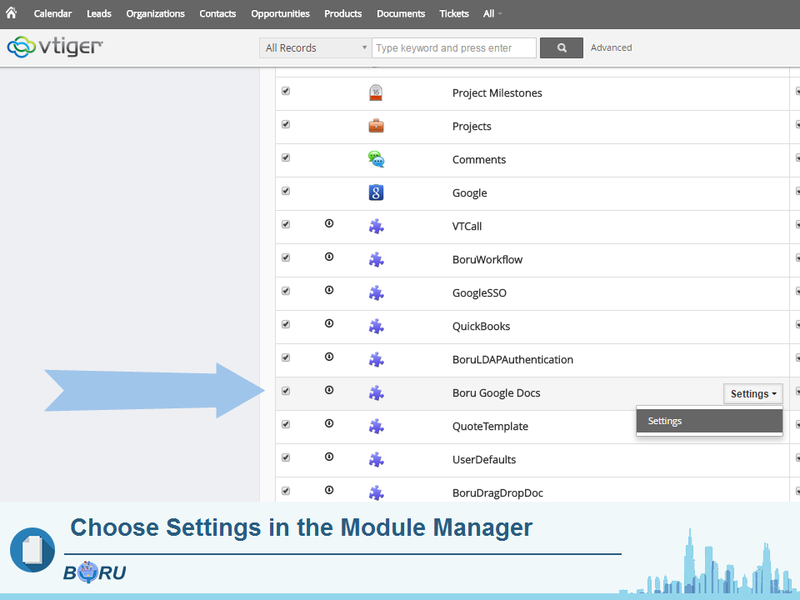 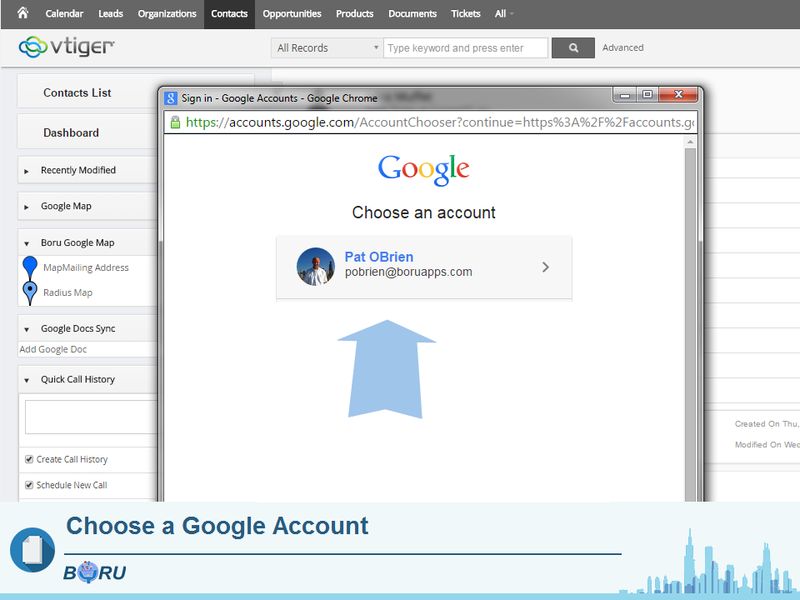 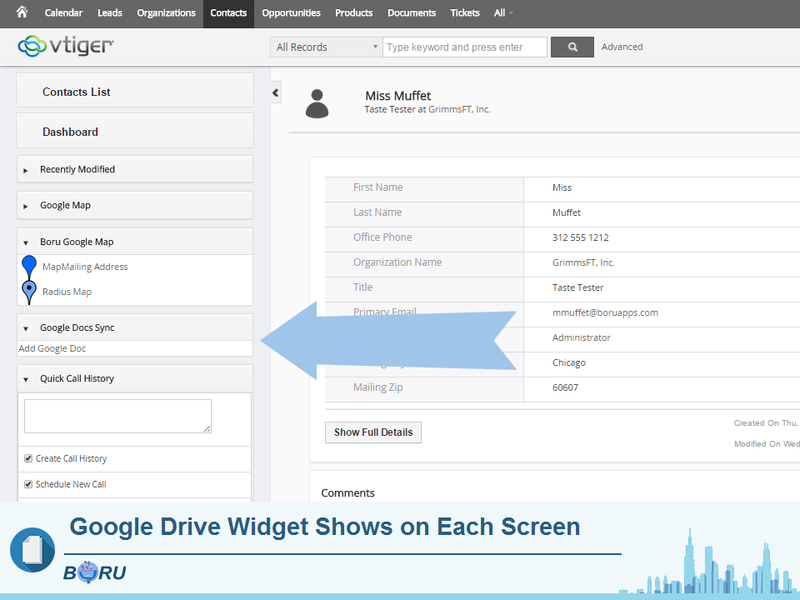 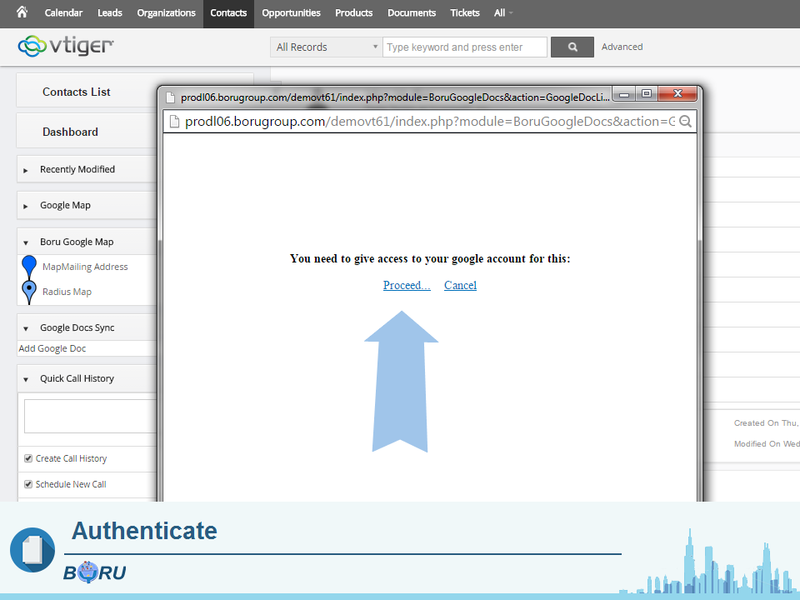 With Boru’s Vtiger Google Drive Integration, you can link Google Drive documents to any record in Vtiger. 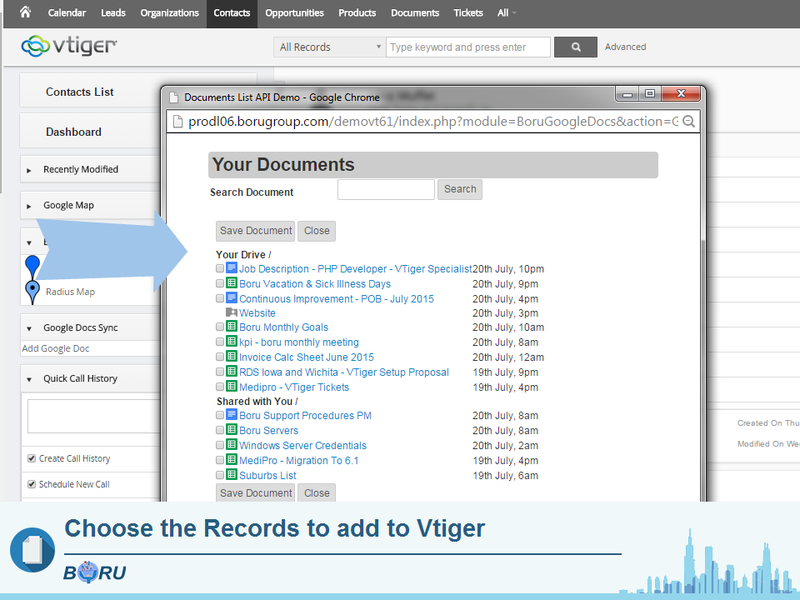 Simply click the Google drive widget on any Vtiger record, use the Google Drive search pop up to find the Google document and click to link it to Vtiger. 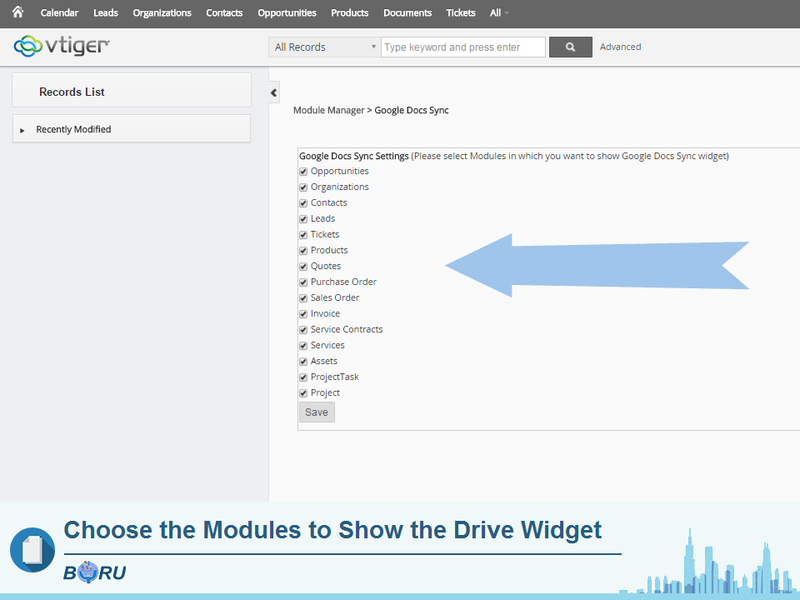 AND you can sync your Google Drive folder system into Vtiger. 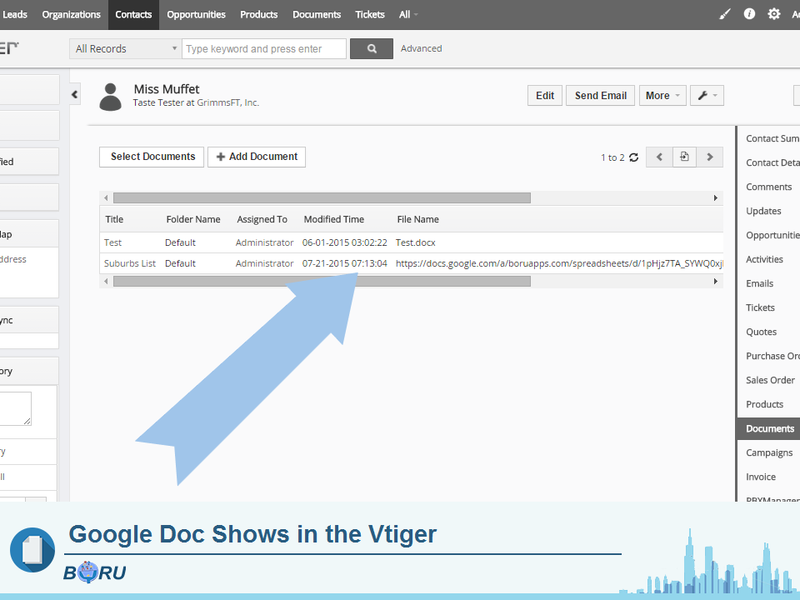 As long as your folder name in Google Drive matches an organization name in Vtiger, all the docs in that Drive folder will be created under that Vtiger organization. 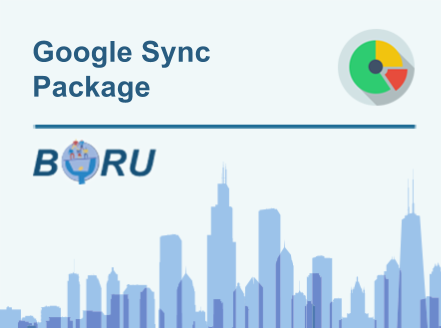 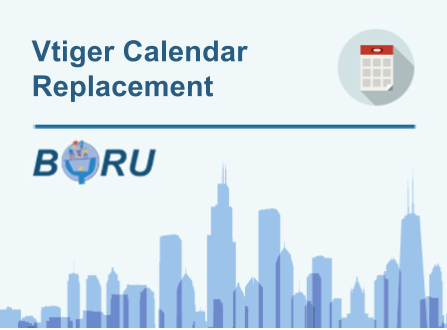 As documents are created in Google Drive, they sync to Vtiger — a cron job controls how often the sync happens or it can be run manually on demand. 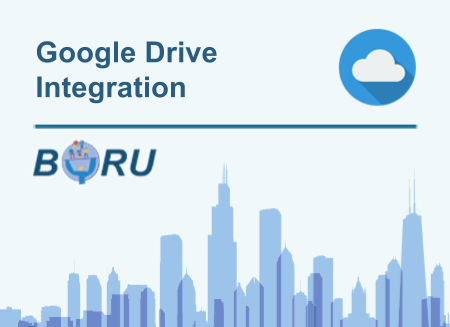 Note: the app links the Google Drive doc, not the actual doc — which is perfect because the docs are better stored in a centralized place.